Fairchild Books & Visuals, 9781563678066, 680pp. "Survey of Historic Costume," 5th Edition, which now includes a free student Study Guide, presents a thorough overview of Western dress from the ancient world to the trends of today. Each chapter presents social, cross-cultural, environmental, geographic, and artistic influences on clothing. With visuals, illustrated tables, and in-depth discussions, readers come to recognize recurring themes and concepts and understand the role of dress from a diverse, global perspective. 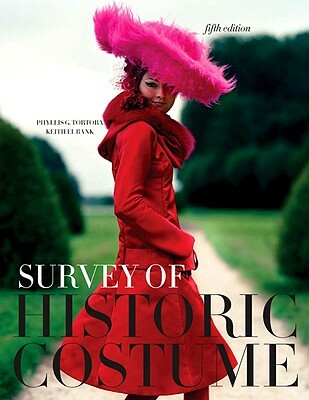 This book is perfect for students, instructors, fashion industry professionals, and anyone interested in historic costume, fashion, art, and design.